The Volume Licensing Service Centre (VLSC) is the website through which organisations obtain the keys they need to activate Volume Licensing products, download or order installation software, and manage benefits such as Software Assurance. 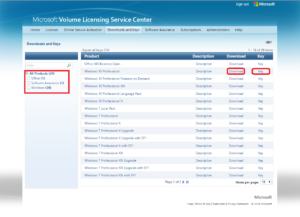 Microsoft’s Volume Licensing programme provides small and large organisations with a way to acquire software and software licenses in volume quantities. 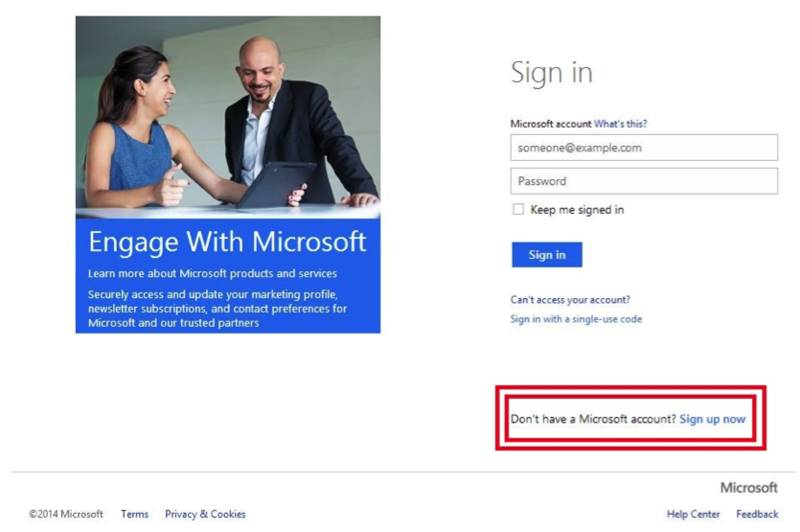 Click this below Microsoft Link, This Link is also present in the email you have received from Microsoft or your licensing partner. 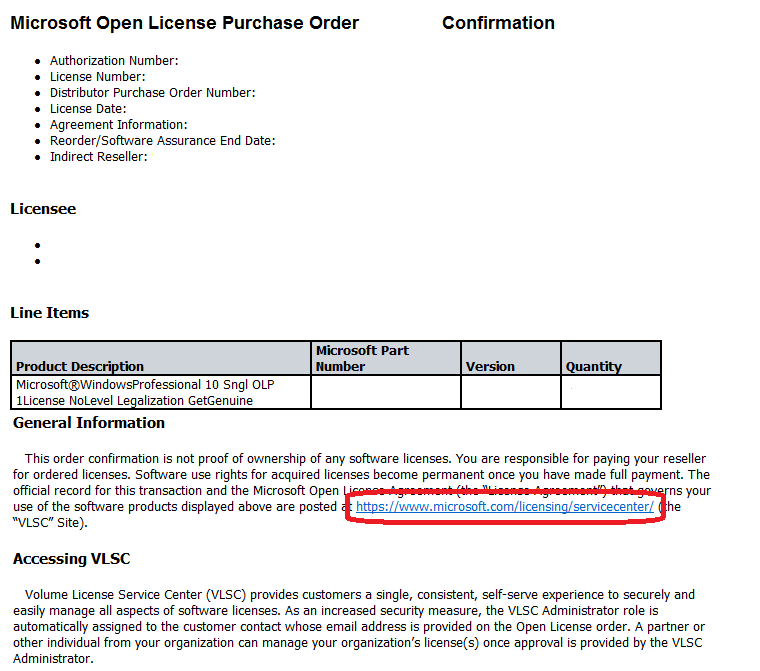 Go to https://www.microsoft.com/licensing/servicecenter/ to sign into the VLSC home page. 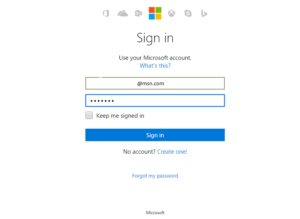 Click “Sign in” at the upper right side of the page or “Sign in Now” in the sign in box to display the windows Live ID login page. 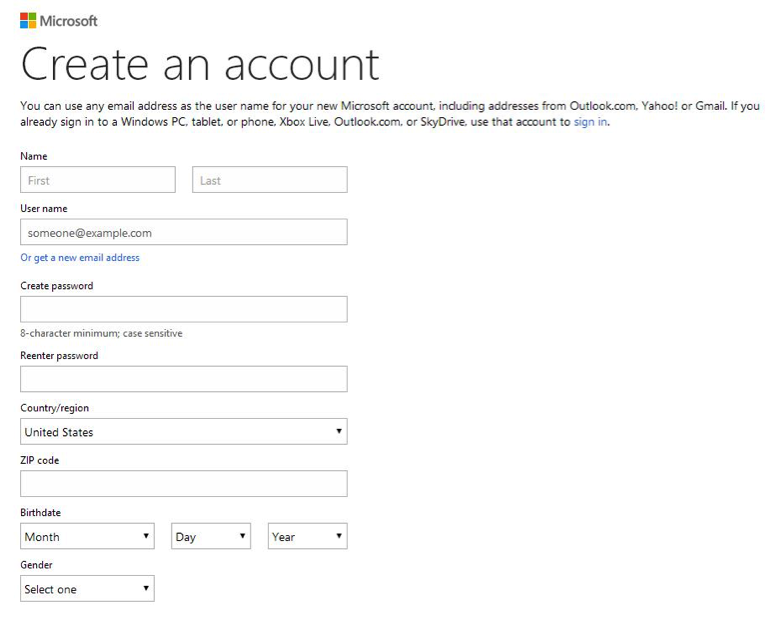 To sign in you need to have a “Microsoft Account”. Click on “Sign up now” to create a Microsoft Account. Click OK. You will again be prompted to enter your business email. You will now get a thank you message. Now you can sign into the VLSC! 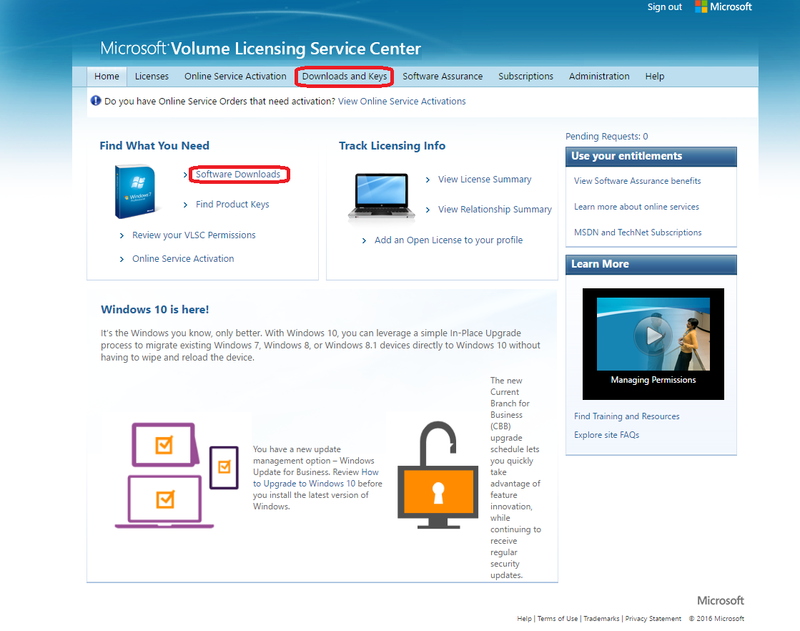 Now, that you have your Microsoft Account or username and password, go back to the Volume Licensing Service Centre and sign in. 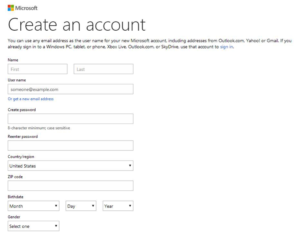 Step-5: Go to the inbox for the e-mail address you provided. 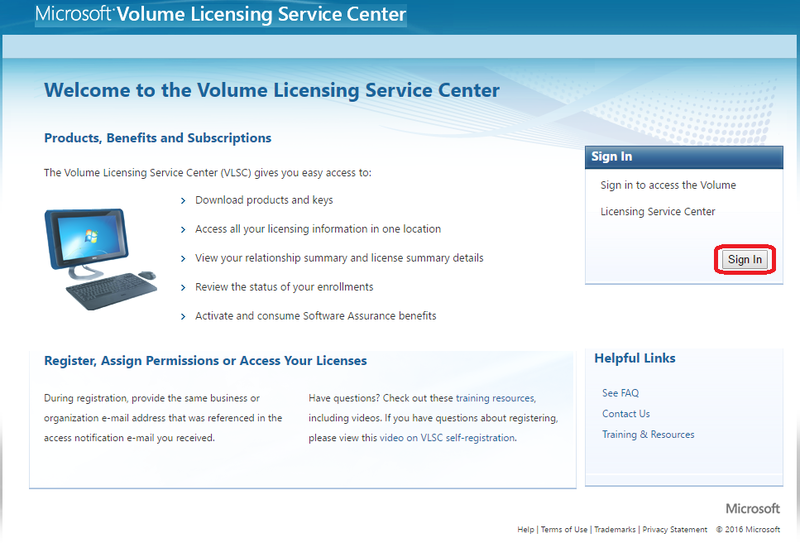 Step-6: Open the e-mail from Volume Licensing Service Center with the subject line Thank You for Registering with the Volume Licensing Service Center. 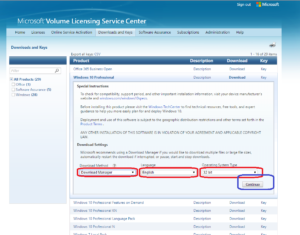 Step-7: Click the link in the e-mail to confirm your ownership of the Microsoft e-mail address being used to access Volume Licensing Service Center. 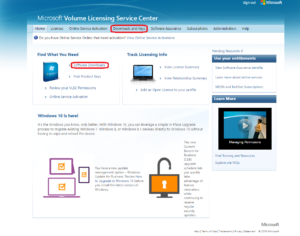 Step-8: Login with your verified Microsoft account on the Volume Licensing Service Center link. 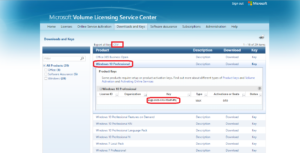 Click Downloads and keys on the top navigation bar to view a list of products based your license entitlements. 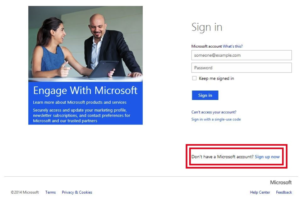 All the Microsoft products you ordered are listed on this page. In this example we will demonstrate downloading Office 2013 Professional Plus. Note: If you ordered a Windows Operating System, you have the option of selecting the Professional or Enterprise version. 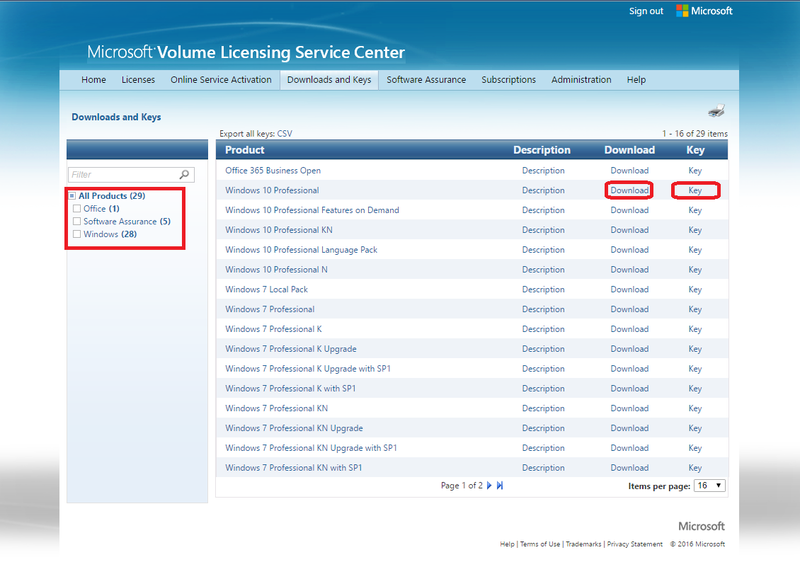 If you need help deciding which version to download, refer back to the product page (Windows 7 or Windows 8). Find your product and click on Key. Use the filters on the left to narrow your product search by category. Type a product name into the Product text box, or use the sort list to limit your search by-product type. The Product text box displays possible suggestions as you type. Select the suggestion to populate the text box. By default, the All Products check box is checked. You can uncheck this box to narrow your search results. If you do not know the name of your product, or if no suggestion appears in the Product text box as you type, then enter the name of the software into the Product search text box, and then click the hand lens (search) icon. Click the Download link for the product you want to download. The Download setting drop-down box opens. In the search results, select the product. If your search results are more than one page, then use the arrows at the bottom of the page to advance to the next page of search results. Click on Download next to your product. Select your download method: Download Manager or web browser (Download Manager is better – less prone to corrupted files and downloads faster). Select your operating system type (32-bit or 64-bit). If you don’t know what version you need, go to “Control Panel” in your start menu and click on “System”. This will tell you if your computer is running on a 32-Bit or 64-Bit system. Hit “Continue” to open the download menu. If you are using Internet Explorer and already have Windows on your computer, Download Manager will automatically pop up. If you are using another web browser to download your software, the Save As dialog box appears. Specify your location and click Save to start the download. 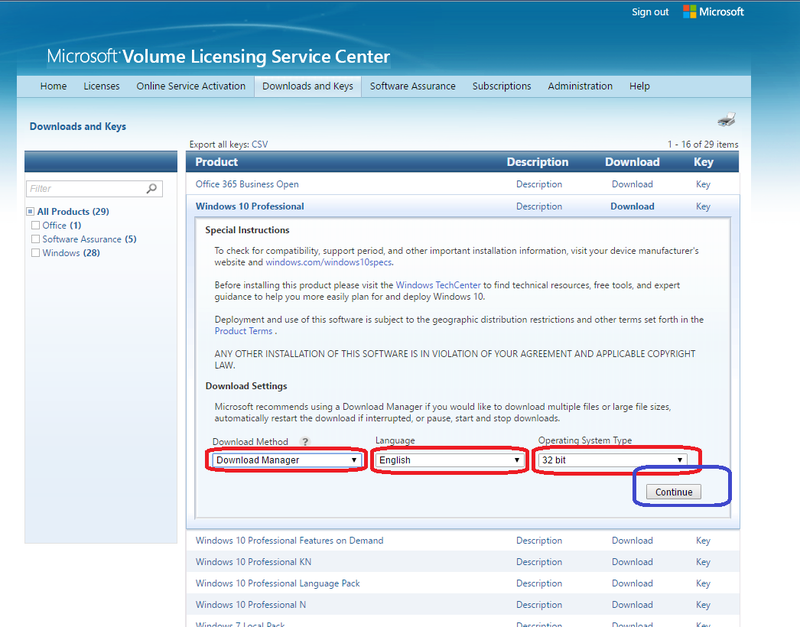 *For server products that require setup codes for installation, the codes appear on the VLSC download page after download is complete. *We recommend using the download manager instead of downloading from your web browser. It is faster and less prone to corrupted files. 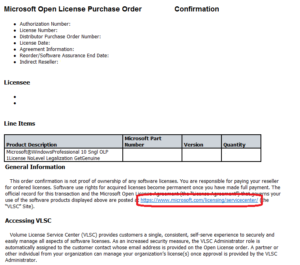 Step-13: To access product keys by organization in the VLSC and copy the Key of the Product. On the VLSC main navigation bar, click Downloads and Keys. 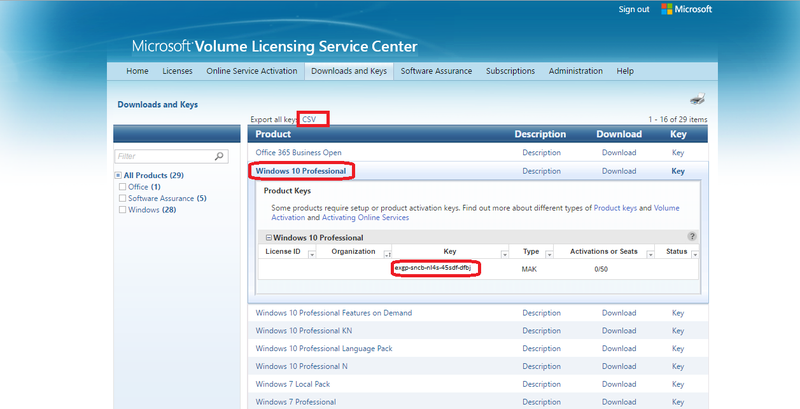 On the Downloads and Keys page, locate the Export all Keys: CSV link. Click CSV to download the product keys. At the prompt, click Open to view the file in Microsoft Excel. Use the Organization column to sort the keys by organization.